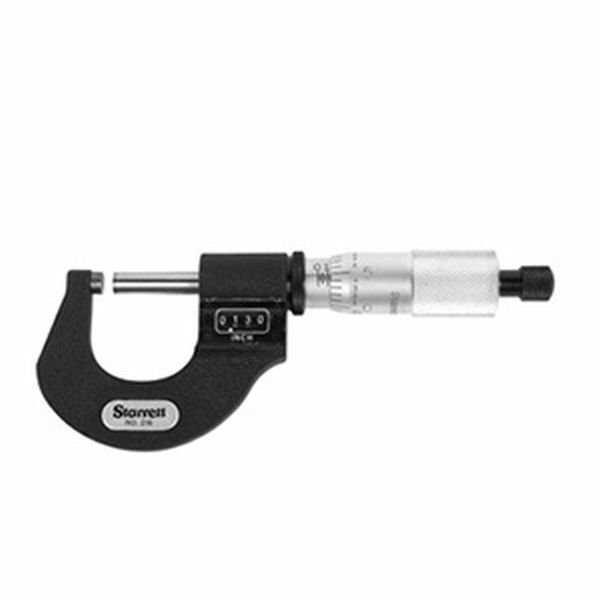 A precision micrometer that has large, easy to read counter numerals for quick and error free readings. There is a ratchet stop and spindle lock for repetitive, accurate measurements. Digital readings to 1 inch by .0001; .0001 readings made by graduation readings on the sleeve.